Cleveland Income Properties is committed to offering Real Estate Investors around the world the opportunity to build wealth through our Income Producing Investment Properties. 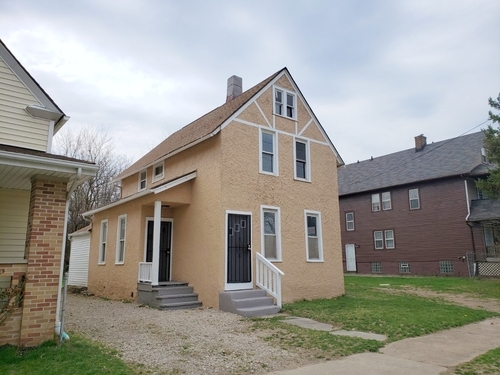 We do this by offering True Turn-Key Investment Properties that are located in our top targeted areas for growth in the Cleveland, OH Market. We are Pioneers in the Turn-key Real Estate Investment Industry. We have been in business for 16 Years and sold over 1,800 Turn-key Properties to Investors all over the world. Cut Out the Middleman: These days, more than ever, it is important to know who you are buying from. It is a standard practice in the industry for middlemen to drive the prices of these kind of prices through the roof by adding their commissions and markups. Also, typically, the further you get from the Property Sourcer, the worse the after-sale service gets. We are not middlemen: We own each and every property listed on this site. This allows us to control what and where we buy and sell. It also allows us to keep pricing as low as possible and the returns high. We take pride in our after-sale service. By owning everything we sell, it puts us in a much better position to service our customers before, during and after purchase. Why Cleveland? : Recently, the Cleveland, OH market has become a real hotbed of Investor activity. Old myths about the region have been shattered by Investing Experts who are calling Cleveland “The Best Market in the Country to Purchase Cash Flow Investment Property.” Cleveland has become one of the few areas of the Country where a recession proof Real Estate Market meets an area ripe for Growth and Value Appreciation. We Invite you to go to our Why Cleveland? Page for much more information on the Area and why Investing in Cleveland makes so much sense. Why Now? : Cleveland is just beginning the process of Recovering from the 2007 Real Estate Bubble Burst/Financial Collapse. As such, now is a perfect and uniquely positioned time to Invest in the Market. The play for Investors now is to get into this emerging market, enjoy 14%-18% Returns for a minimum of 5 Years, then re-evaluate where the Market is and consider cashing out based on the market at that time. We were previously in the Buffalo, NY market, which we feel was positioned similarly to Cleveland’s market now. Over a 5-7 Year period, many of our customers cashed out of their Investments with over 100% Returns on their Investment Dollar. We Invite you to our Case Studies page to see details on this. We have earmarked 5 Neighborhoods in the Cleveland Market that we feel are Revitalization Areas similar to Buffalo’s Model. Certainly, appreciation on your Investment, combined with Rental Returns of 14%-18% over a 5-7 year span make this a powerful potential to building wealth. Our Network of Pros: It is difficult, if not impossible, to have success without a solid team of professionals on the ground to assist you. This is particularly true if you are an out of area Investor. No property is a True Turn-key Property without these individuals. Put our Investment Professionals to work for You…See Our Network of Pros page for more details. Our goal is to build a long-term relationship with each of our clients. We realize that our success is contingent on your success in investing through us. We urge you to see why Cleveland Income Properties is the Industry Leader in Investment Property Sales. With over 1,800 properties sold and 16 Years in business, come see how we can assist you in your journey to building wealth through investing in real estate. Please give us a call, send us an email or use one of the special forms on our website to request any additional information. Please feel free to contact us for a one on one discussion about your investing goals. Have a great day and thanks for visiting! !